Lunch was at Hon Kei for pork porridge and a little bite of prawn fritter on tofu. By then everyone was so full. We decided to head back to rest before coming out for dinner. “Eat again?” the girls groaned. 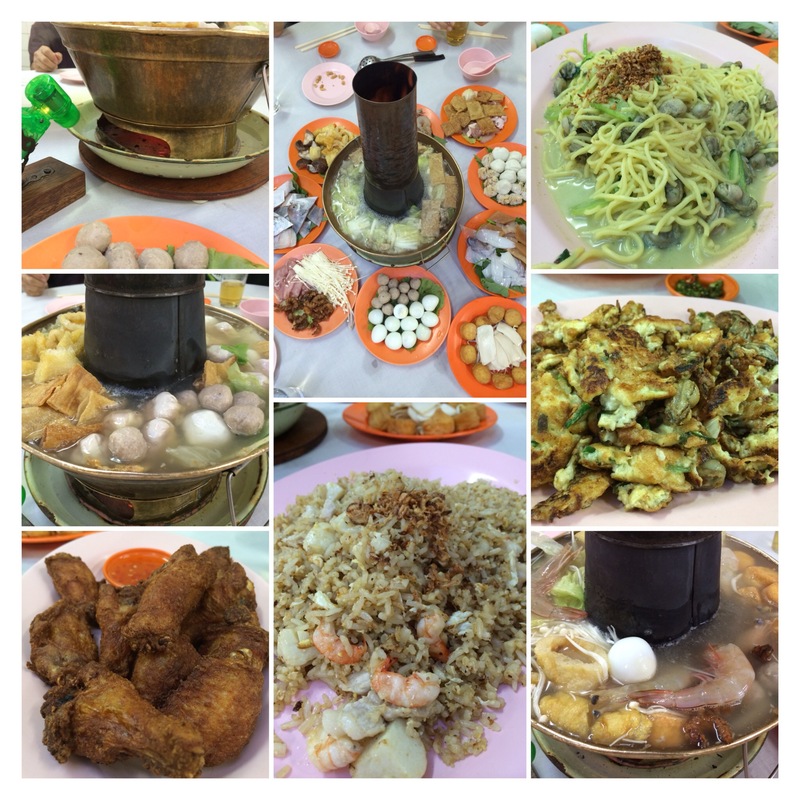 Well, it is dinner time and we headed to Goh Huat Seng on Kimberly Street for steamboat. All in all, today’s choices are good. Tomorrow we try different stuff! We woke up early to go to Pulau Tikus to Restaurant New Cathay for breakfast. 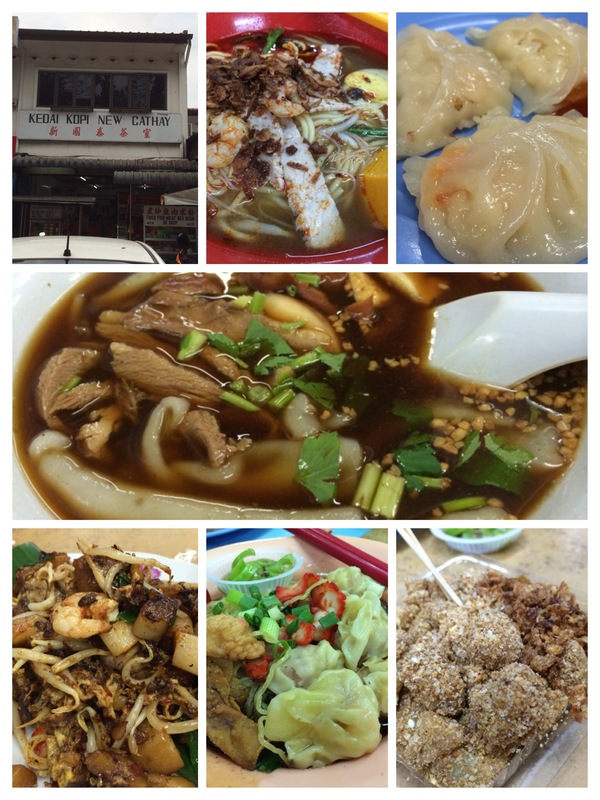 A friend recommended that we should go there and eat the Koay Chap, which we did. Was good, so were the other choices. Traffic on this Saturday morning was not that heavy and soon, we made our way to the Owl Shop. When we got to the shop, I was like a kid let loose in a candy store! All the display pieces were so appealing. Let’s just say I had a good haul to add to my owl collection. Contented for now, we explored the area around Cannon Street and Armenian Street. This is where the street arts are. Had some fun posing with the paintings. By lunchtime the sun was beating down on us. Dang! It’s hot. 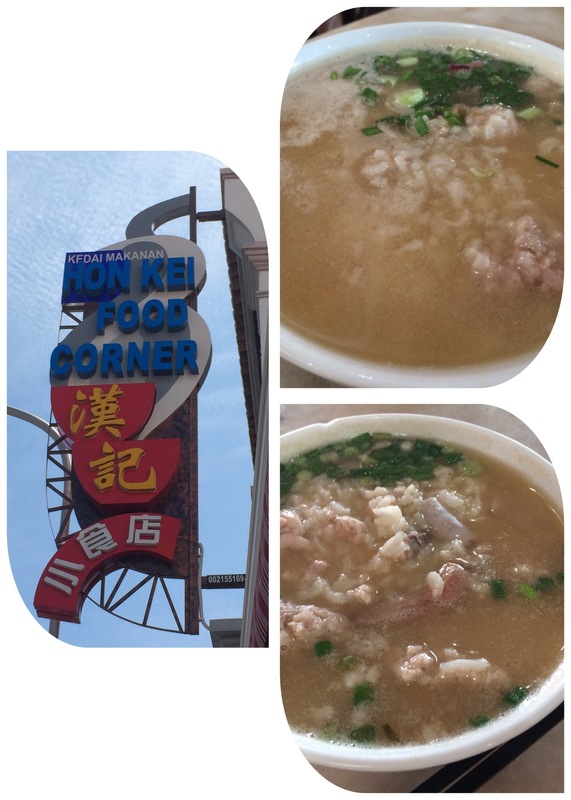 But we had to go to Restaurant Hon Kei at Kampung Malabar for pork porridge (for lunch). After all this is a eat and eat more trip. Rush hour traffic was not too bad after the toll at the Penang Bridge. 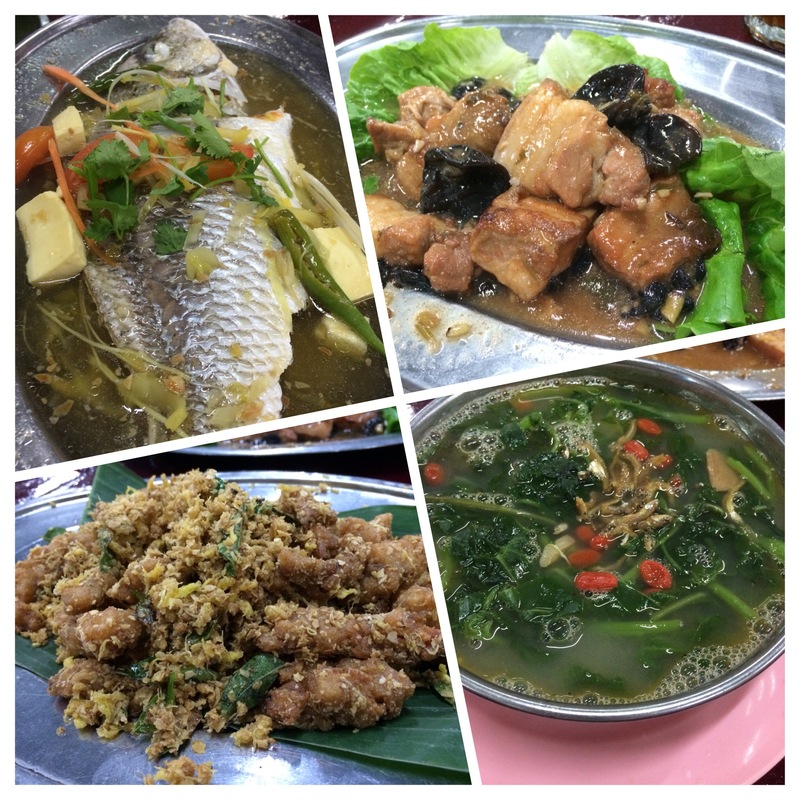 We met hubby’s sister and she guided us to Restaurant Soon Lai at Batu Lanchang, a place she frequents regularly. The tummy by now is growling and the smell of the open air kitchen is just so appealing! Dinner was simple, quick and delicious. The last time I was in Penang several years back, we stayed at Golden Sands Resort on Ferringi. Hubby and I were drinking Corona by the poolside, keeping an eye on the girls who were enjoying the swimming pool. In between, I was also working on my tan, having daily foot massages under the coconut trees and with an occasional dip in the pool to cool down, it was bliss. Foodie-wise, we were not picky and did not traverse the island for any special menus. However, this time is different. It is solely a foodie trip with all kinds of food in mind to savor. Beer, pool and tan are not a priority. Also this time, we are not staying in any hotel but being hosted by hubby’s sister, who lives and works on the island city. We left home at three, taking our time to load up and be on the road. There was no hurry but only to beat the rain with the threatening clouds overhung in the horizon. An hour into the journey, the rain came down and hard, I had to slow down to almost a 40km/h speed. But it cleared once we got close to Ipoh. I was dreaming of what shall we eat tonight whilst my passengers snoozed away. It’s okay, the drive is not tiring. I look forward to dinner soon! 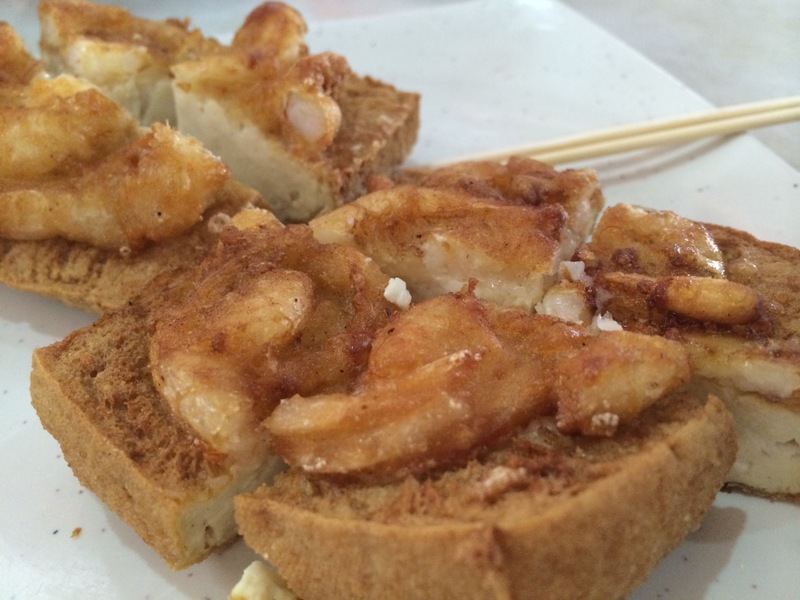 We decided to take a gastronomic road trip to Penang for the long weekend ahead and eat to our hearts’ content. This year there are many long weekends and this is one of them so we decided to take advantage of it. We wait for M2 to come home from school before we hit the road. To all the food stalls and eateries in Penang, here we come! When I was little, I had short hair. When I grew up, I still have short hair. My mother never made a fuss about my short hairstyle. Fast forward to me being a mother now with two girls. Eeeks! Where did they get that inkling to want long hair? My mother has short hair, my mother-in-law has short hair and my hubby hardly has hair. Yet both M1 and M2 have abundance of hair! The ironic part is they chose to have it long yet they complain about how it takes forever to blow-dry after a wash; sometimes even questioning how come mine dries so fast. Gee, I wonder why. I feel it’s cumbersome to have so much hair to wash and maintain especially for young people. So it’s a constant battle when it comes to grooming. I am always threatening to have 4 inches off their heads while they would negotiate for it to be only an inch or two off. Someone will always end up unhappy leaving the salon, I tell you. Amazingly, last week when M2 made a trip to the saloon, she agreed to have 4 inches off but wished it was another inch or two cut off after coming home! Interesting. Maybe she has come to her senses to have shorter hair. Dare I hope she may want a short hairstyle like me? It remains to be seen. M1, however, still has her precious locks intact. Eggnog Emporium of Candy Crush was relatively easy. Within a week, I made short work of it and have gone on to Fudge Fjord, the next chapter, and moved rather fast. But I should have known. The minute I thought I had my mojo back and moving smoothly in my games, it’s useless. Between the three games that I usually play, I am not sure which one is the toughest! Stuck at Level 170 for Candy Crush Soda, Level 653 for Farm Heroes and Level 789 for Candy Crush. However after the update last night, Candy Crush Soda was easier and I managed to pass Level 170. So one down, two to go. Last Friday, I posted my 500th entry in my blog! What a milestone. When I started this, I didn’t think I would have so much to write. Then again, when one has a clown of a dog, two amazing kids and a somewhat interesting life, there is much to say. However, credit must also be given to my readers and supporters who has constantly been very supportive of my efforts. Thanks much. Here’s towards the next milestone target! When M1 was 16, we realized she was curious about alcohol among the other things. Whenever we have a glass of wine at home, we’d allow her to smell it and have a tiny sip. But many a times, the experience ends up with a cringed face and the tongue sticking out. Now that I reflect upon this, chances are the wine had probably gone bad! And there we were drinking it! Our hot and humid weather just doesn’t cut it to keep good wines. After several sips ourselves, down the sink it goes. Then we’d do the alternative, having a beer with meals at restaurants. Beer tasting experiences also vary – from nice to yucks – depending on label. I believe responsible parenting is teaching our teenager, in our presence, the wonders and dangers of alcohol rather than for her to discover on her own. She has recently turned 18 and for her birthday, we treated her to dinner and a couple of cocktails; no more mocktails.